Public Interest Law Job Seekers: Public Do-Gooders, Post-J.D. We know your type. You were the one in high school who volunteered on the weekends and probably even organized school-wide events that allowed students to interact with the community. We wouldn't even be surprised if you wrote about it in your college application essay. And it didn't stop there. You went to college and continued your scrupulous and giving ways. Joining organizations, launching initiatives to benefit those less fortunate around you. Maybe you were a philosophical fiend, delving into theories of development and policy related to public welfare. Would we be shocked if we found out you did some social program after undergrad? Not likely. Volunteering abroad, Teaching for America, Peace Corp-ing, or otherwise finding under-the-radar ways to be of service. And knowing you, you used the limelight to bring attention to the cause. And then you went to law school. And where your fellow classmates talked BigLaw and BigBucks, you kept using your laptop's calculator to figure out how you could pay back your student loans and still do non-profit work. It's an affliction, really. To anyone who told you you have a bleeding heart, you told them that every heart bleeds...it's just that we're often too preoccupied to notice. Or to care. But caring has never been a problem for you. In fact, not caring is what really gets under your skin. So now, there's you--this soul on the road to exaltation--and there's a law degree, a debt, and a crummy job market. What does a person like you do? 1. Pick up a "job for now". BigLaw, corporate counsel, government agency, small firm whatever it is, you may take it--for now at least. You want to gain experience and consider yourself a "sponge" ready to soak up and learn the ways of law. 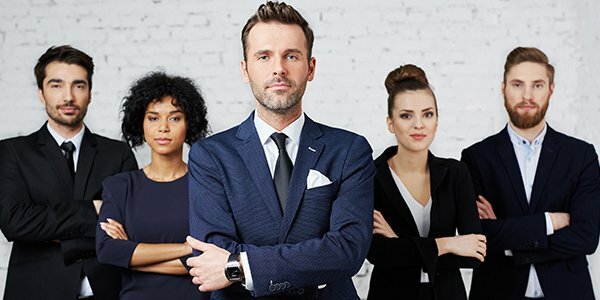 Work with people you respect and who can guide you on the tenets of practicing law, and then you will develop a skill set that can benefit any non-profit or socially entrepreneurial venture in the future. 2. Apply to a program. Whether it is a coveted fellowship, an obscure teaching program, or a brief international stint funded by a private organization you may want to put your efforts into something organized and official as you wait out a job market that is as tough on social enterprise as it is on free enterprise. The contacts you make in the non-profit sector could be invaluable and could follow you throughout your do-gooding career. 3. Teach. Whether you teach a community college class of criminal justice, a legal writing seminar, or a class of eager fifth-graders you may find teaching to be a way to connect with your community. And whether law school ended a few months or years ago, there is a lasting effect of diving so deep into a field, that can bite into other forms of socializing and connecting. Teaching may give you a feel of what issues are relevant now and allow you to brainstorm how your education and background can be used to build solutions. 4. Join the non-profit sector. Of course joining the non-profit sector is on your radar. In fact, there may not be many orgs you haven't applied to. But in this economy, don't limit yourself to applying for jobs at non-profits, offer your commitment for free. If you can get in the door at a place you would consider working, even as a part-time volunteer, when the organization does have more funding or a budget to allow for new hires, would they rather find someone brand new and go through the process of re-training...or go with someone they know is passionate about the cause, has demonstrated commitment, and is trained and ready to go? You see our point. 5. Go back to school. You said law school would be it. But now that you're out and in the overstimulating bazarre of job-searching, suddenly, grad school doesn't look so bad. There are a number of one-year programs that can either build on your legal education or can develop another useful skills set that can make you a competitive candidate, as well as connect you with other like-minded individuals. And if you don't need a whole year, look into certificate programs or executive programs in topics of social innovation, online community management, international development, and public policy to continue growing your non-profit toolkit. 6. Start something. You don't want to wait. You have an idea. And you want to get your feet wet and your hands dirty. Then, don't wait for economic indicators to tell you you can work, start something of your own. Your legal background can be of good use if you decide to file as a non-profit or for-profit venture and while the job market is tough for seekers, it is an oasis for hiring. Consider getting a loan or finding donors, and hit the pavement running with your social enterprise idea.